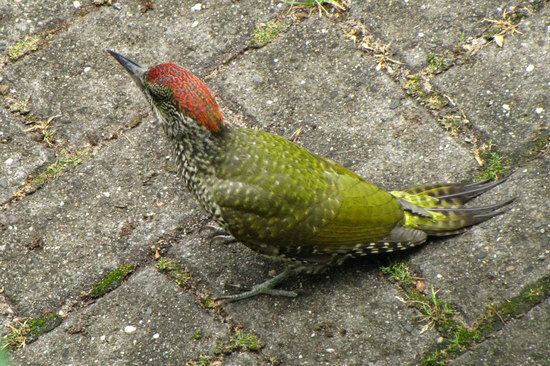 I saw something very colourful ambling around on the ground in front of the balconies from the corner of my eye and I instinctively grabbed my camera – it was a juvenile Green Woodpecker! We’ve never seen one of them here before, so this is truly a lifer. I was able to take some other shots when it was further away, but only this one turned out to be really good. Thanks for stopping by :-).